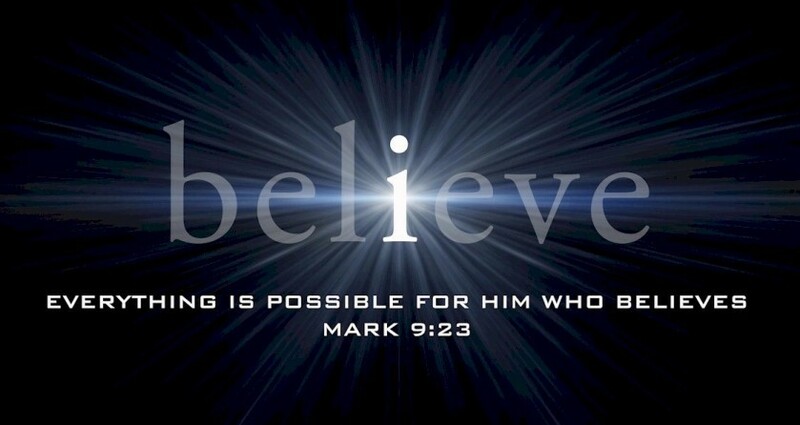 Expect the impossible to happen, says the Lord. Expect miracles, signs and wonders. I Am a God of healings. I Am a God of Miracles. I Am a God of deliverance. I Am a God of signs and wonders. The supernatural is natural to Me, says the Lord. Nothing is beyond My ability. I want you to increase your vision as you see Who I Am! I Am almighty. Have faith in Who I Am! I created you! I created the universe. I created the heavens and the earth. All that you see and all that you know little or nothing about is My handiwork. Why think little and expect little? Didn’t I say that it would be according to your faith? When you limit your faith in Who I AM and what I Am able to do, your expectations will be small. Increase your vision to see and know just Who your God is! I AM your God and I want to display Myself in My glory and splendor in your life and in your midst. I want to display My power, says the Lord. Do not limit Me by putting Me down to your human level. I Am still creating. I Am healing! I Am providing! I Am strengthening and helping the whosoever will that come to Me in genuine, undiluted faith and trust in Me! Will you be one of them? Will you believe? Take off the blinders of fear, doubt and unbelief, says the Lord. Lose that little mentality. Think My thoughts and see what I see! Get out of the box of restrictive thinking. I Am unlimited in power and I want you to declare what I have said! NOTHING IS IMPOSSIBLE WITH ME! NOTHING means NOTHING! You are not on a leash. NO, I did not limit your experience in Me. As you believe, you will receive. So I Am inviting you into My supernatural realm of everything is possible, attainable where there is NO boundaries. I say expect to receive from Me what your eyes have never seen, your ears have never heard, and you have never even imagined or even prayed for. Can you do that? Will you believe that I will do exceedingly abundantly above that which you could ever ask or think? Then think big and higher and wider and denser and deeper and expansive thoughts and have a heart of faith in Me to do beyond that. To get the big picture you need to think big and believe big and trust that I am good for it. I honor your faith, so start expecting that the day of miracles and signs and wonders are not only thinkable but what I can and will do if you will only believe, says the Lord.